For example, you can own a local phone number in USA, Canada, Panama, Peru, Saudi Arabia, Turkey, etc., that will divert your calls to your fixed landline or mobile phone number in any country. Whether you need to forward your callers to the U.S. or any country, a virtual phone number is your solution. Virtual phone numbers are actually real phone numbers that will send callers to any other phone number worldwide. Your incoming calls can be forwarded instantly to a landline, mobile, fax line or PBX, globally. Virtual phone numbers are convenient for both you and your callers. Your virtual phone number can be a local number or a toll-free number, so no matter where you or your office is located, you can be accessible. For example, let's assume you want to advertise in France but you do not have an office in France nor a France phone number. AIT can provide you with a local France phone number so that your customer or associates can dial a 'local' France number and the call will be redirected to your phone in any country. Activating and using a virtual phone number requires no equipment or installation except a telephone to receive the calls. We accept most credit cards for payment, including Visa, MasterCard, AMEX, Diners and JCB, and in addition, International Money Transfer. 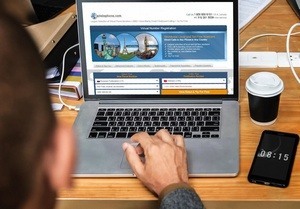 Many of aitelephone's customers use a virtual phone number as a method to create a local presence without a physical office in the country or city where the phone number is desired. AIT offers over 1100 different U.S. cities and area codes to choose from in the U.S. and 1000's of local and Toll Free virtual phone number choices worldwide.